A growing number of iPhone users who have upgraded to iOS 12 are experiencing poor battery life as compared to when they were on iOS 11. Some users have also taken to Reddit to highlight the issue, with one user reporting up to 40% faster battery drain on both his iPhone and iPad after installing the latest version of iOS. “Prior to iOS 12 I would typically end my day around 65-75% battery life on my iPhone X depending on my usage that day. Post iOS 12 it was normal for my battery life to be down to 30% by the end of the day. Frustrated with excessive battery drain, the user tried disabling the new features introduced in iOS 12 one by one and fortunately, he appears to have succeeded in tracking down the culprit. Turns out it’s the new Screen Time feature that is eating up the battery much faster than usual for some iPhone and iPad users on iOS 12. “So I turned off Screen Time on both devices Saturday night. Sunday my iPhone ended with around 80% battery, and it is likewise much better today so far. My iPad also seems to be cured. So there you go. 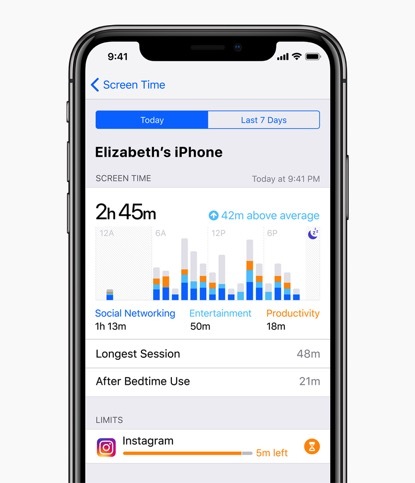 If you are also noticing excessive battery drain on your iOS 12 devices, turning off Screen Time alone should improve your iPhone or iPad’s battery. To achieve that, simply go to Settings > Screen Time and scroll down to tap Turn Off Screen Time. Let us know if this works for you in the comments section.